Mother-to-child transmission (MTCT) of HIV infection remains a major public health problem and constitutes the most important cause of HIV infection in children under the age of 15 years old. Awareness on MTCT of HIV and knowledge of its timing usually pose a direct effect on utilization of PMTCT services (mainly HIV testing, infant feeding options and antiretroviral use). The objective of this study is to assess pregnant women’s knowledge on timing of MTCT of HIV in Southern Ethiopia. A cross sectional study was conducted in 62 health centers in Southern Ethiopia from February 25 to March 24, 2012. A total of 1325 antenatal care attending women were included in the survey by using a multistage sampling technique. Data were collected using a structured and pre-tested questionnaire. Multiple logistic regression analysis was employed to identify variables associated with women’s knowledge on timing of MTCT of HIV. All interviewed pregnant women were aware of HIV/AIDS transmission, but only 60.7% were aware of the risk of MTCT. The possibility of MTCT during pregnancy, delivery and breastfeeding was known by 48.4%, 58.6% and 40.7% of the respondents, respectively. The proportion of women who were fully knowledgeable on timing of MTCT was 11.5%. Women’s full knowledge on timing of MTCT was associated with maternal education [AOR = 3.68, 95% CI: 1.49-9.08], and being government employee [AOR = 2.50, 95% CI: 1.23- 5.07]. Whereas, there was a negative association between full knowledge of women on timing of MTCT and no offer of information on MTCT/PMTCT by antenatal care (ANC) service provider [AOR = 0.44, 95% CI: 0.30-0.64], lack of discussion on ANC with male partner [AOR = 0.30, 95% CI: 0.12-0.72], and lack of discussion on HIV/AIDS with male partner [AOR = 0.17, 95% CI: 0.07-0.43]. There was low awareness and knowledge on timing of MTCT of HIV in this study. Hence, strengthening the level of PMTCT services in ANC settings and devising mechanisms to promote involvement of men in PMTCT services is needed. Mother-to-child transmission (MTCT) of HIV infection remains a major public health problem and constitutes the most important cause of HIV infection in children less than 15 years old in the globe . In 2012, 260,000 children acquired HIV infection in low and middle income countries and more than 90% of the newly HIV infected children lived in Sub-Saharan Africa, home to 92% of pregnant women living with HIV. Furthermore, only 59% of pregnant women living with HIV in Sub-Saharan Africa received antiretroviral therapy or prophylaxis in the same year . In 2012, the national adult HIV prevalence in Ethiopia was 1.3% and 10% of the 13,008 new HIV infections occurred in children . Among women aged 15–49 years, HIV prevalence was 1.1% in Southern Nations Nationalities and People’s region (SNNPR) in the same year. Moreover, only 9.3% of estimated HIV positive pregnant women in Ethiopia were provided with antiretrovirals . In Ethiopia, only 34% of pregnant women received antenatal care from a skilled provider in the five year period 2006–2010 (27.3% in Southern Nations Nationalities and People’s region), with only 6% increment since 2005 (28%). During the same period, among 226,690 pregnant women who were tested for HIV in the region, 0.5% of them were found to be HIV positive [3, 5, 6]. Comprehensive knowledge of AIDS is uncommon in Ethiopia. However, 77% of women and 76% of men know that HIV can be transmitted to a baby through breastfeeding, and 44% of women and 53% of men know that the risk of MTCT can be reduced through the use of ARV during pregnancy [5, 7]. 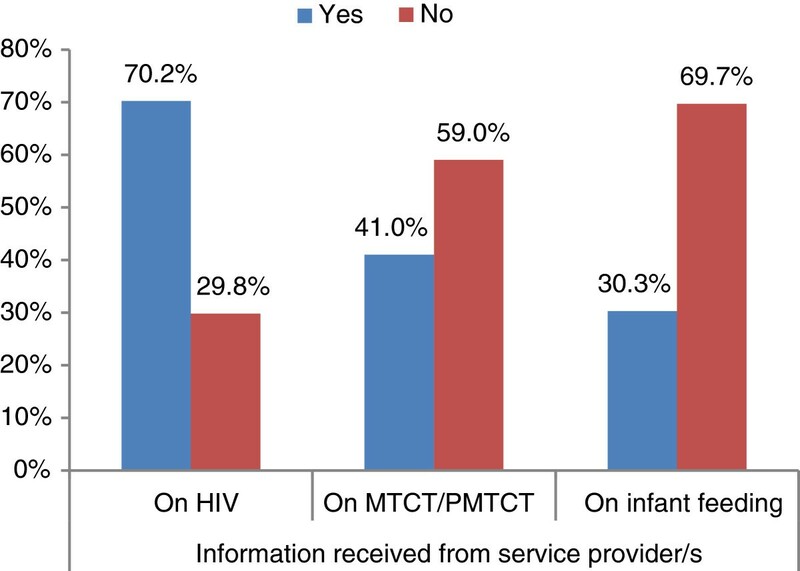 Limited expansion of PMTCT service and poor integration of with antenatal care (ANC) services are the major gaps and challenges identified in the implementation of HIV prevention in Ethiopia . Hence, strengthening integration of PMTCT services within maternal, newborn and child health is one of the most important strategic focuses for scaling up PMTCT services [4, 9]. This study therefore is targeted at identifying possible determinants of knowledge on timing of MTCT of HIV among women attending antenatal care in Southern Ethiopia. Thus findings from this study can be used for evidence based decision making to reduce MTCT of HIV in Sub-Saharan Africa and then to reduce the number of HIV infected children in the world. Considering nearly 90% of the population group of SNNPR are rural dwellers, and among women population (50.48%), 45.3% are in the age group 15–49 years , the total number of expected pregnancies in the region in 2011 was 645,550, according to SNNPR Health Bureau’s Report . In 2011/12, there were 520 health facilities which provide PMTCT services in the region . The study was conducted in 62 primary health centers (50 rural health centers and 12 urban health centers) which were selected from nineteen administrative zones of SNNPR between February 25 and March 24, 2012. A cross sectional study which used interviewer administered questionnaire was carried out to assess the awareness and knowledge of antenatal care attending women on timing of MTCT of HIV. Women who attended antenatal care in the selected health centers were the study subjects of this study. Sample size was determined using a single population proportion formula through the following assumptions: confidence interval of 95%, proportion of women who know that HIV can be transmitted from HIV-infected mother to her child by breastfeeding of 77%, according to SNNPR , margin of error of 3.3%, a design effect of 2, and non response rate of 10%. Thus the final sample size calculated was 1374. Samples were allocated proportionately using a multistage sampling. First, samples were allocated proportionately to all administrative zones using the expected number of pregnancies in each zone during the year 2009/10. Then, districts were randomly chosen from the zones followed by random selection of health centers providing PMTCT services from the selected districts. Consecutive interview of pregnant women was made until the required samples from every health center were acquired. Women’s awareness on MTCT of HIV and women’s knowledge of timing of MTCT of HIV are categorical dependent variables of the study. Women were considered aware of the possibility of MTCT of HIV when they report HIV could be transmitted from an infected mother to her child. Women’s knowledge on timing of MTCT of HIV was categorized in two groups as followed. Some knowledge on timing of MTCT of HIV: when woman reported one or two possible periods of MTCT of HIV (pregnancy, labor/delivery, during breastfeeding). Full knowledge on timing of MTCT of HIV: when a woman reported three possible periods of MTCT of HIV (pregnancy, labor/delivery, during breastfeeding). Socio-demographic and economic characteristics (age, marital status, educational status, occupation, male partner involvement and average monthly income), obstetric characteristics (gravidity, gestational age, and number of antenatal care visits), antenatal care service characteristics (whether information on HIV, MTCT/PMTCT and infant feeding was received from service provider or not), and male partner’s characteristics (support during antenatal care and discussion on HIV, and MTCT/PMTCT with a woman during pregnancy) were the independent variables of the study. Data for this study was collected using a structured questionnaire, pre-tested using 5% of the sample size, originally prepared in English language and then translated to Amharic language. Data collectors were female nurses recruited and trained to conduct face-to-face interviews with pregnant women. Back translation of Amharic to English language, pre-testing of the tool and close supervision data collection process were undertaken to assure the quality of collected data. Data were entered into EpiInfo version 3.5.1 and exported to SPSS version 16 to perform descriptive and inferential statistical analysis. Categorical variables were described through absolute (n) and relative (%) frequencies. The assumption of normality was not attained for continuous variables including age, monthly income, and gestational age after running Kolmogorov–Smirnov test. Hence, medians and interquartile ranges were used to describe those variables. Pearson's chi-square tests and odds ratio (OR) were used to assess the relationship between mothers’ knowledge on MTCT of HIV and other factors. The Cornfield approximation was used for calculating the 95% confidence intervals (CI) for the OR. Multivariate logistic regression was carried out to determine the adjusted effect of each factor on women’s full knowledge on timing of MTCT of HIV. Variables with more than two categories were entered in the model in the form of two “indicator” contrasts comparing each category to the first group as a reference. A backward stepwise procedure based on the likelihood ratio was used to select the variables included in the final model. The significance for variable removal and entry was set to 0.10 and 0.05 respectively. The Hosmer-Lemeshow test was used to check the goodness-of-fit of the model. Odds ratios and 95% confidence intervals were derived from each variable coefficient in the final model. The significance of each coefficient was tested by the Wald test. Statistical significance was declared at P < 0.05. Ethical approval was obtained from the Institutional Review Board of SNNPR Health Bureau’s Ethical Review Committee. Written permission was obtained from SNNPR Health Bureau and zonal health departments. Verbal consents were obtained from all interviewed women. A total of 1325 women agreed to participate in the study making the response rate of the study 96.4%. Among the 1325 pregnant women interviewed, 59.4% declared protestant religion 98% were found to be married, 38% did not attend formal education and 55.2% were housewives. Majority (53.2%) of the respondents were in the age group 25–34 years and the median age was 25 years (IQR: 22–29 years). Regarding to the estimated average monthly income, 792 (61.8%) women reported to earn less than 670 Ethiopian Birr per month (Table 1). The median (IQR) gestational age of the respondents was 30 (25–75) weeks while the mean gravidity was 2.82 ± 1.75. Nearly two-third (65.7%) of the study subjects were on their 2nd to 4th ANC visit and the mean of antenatal care visits was 2.14 ± 1.08. Majority (69.8%) of respondents reported to have come to the health facility where they sought antenatal care by their own choice (Table 2). The vast majority, 1144 (86.3%) of respondents reported to have undergone HIV testing during their last pregnancy. Similarly, 1107 (83.5%), and 1019 (76.9%) discussed about antenatal care and HIV/AIDS with their current male partner, respectively. Furthermore, majority, 721 (54.4%) of women declared very good support from their current male partners during antenatal care follow up, whereas very poor support and no support at all were declared by 37 (2.8%) and 90 (6.8%) of women, respectively (Table 2). Seventy percent of women have had a discussion on HIV with their antenatal care service provider during their visit. However, only 30.3%, and 41.0% of women claimed to have a discussion on infant feeding and MTCT/PMTCT, respectively (Figure 1). Received Information from ANC service providers, SNNPR, 2012. Though all women were aware of HIV, only 833 (62.9%) of them were aware of the fact that HIV could be transmitted from an infected mother to her child. This awareness was associated with women’s education level (p < 0.001), occupation (p < 0.001), estimated monthly income (p < 0.001), and number of antenatal care visit during the last pregnancy, (p < 0.001). Regarding knowledge on timing of MTCT of HIV, among who were aware of MTCT of HIV (n = 833), the most known reported timing of MTCT of HIV was delivery (58.6%) followed by pregnancy (48.4%), and breastfeeding (40.7%). There were women who were aware of MTCT of HIV, but did not mention any of the correct timing of MTCT of HIV (14.9%). In this study, the percentage of respondents who had some knowledge on timing of MTCT of HIV (who reported one or two possible periods of MTCT of HIV) was 39.9% (528) and 11.5% (152) were found to have full knowledge on the timing of MTCT of HIV (who reported three possible periods of MTCT of HIV) (Table 3). Full knowledge on timing of MTCT of HIV was associated with socio-demographic and obstetric characteristics of pregnant women. Women who were able to read and write only were found to be more knowledgeable on MTCT of HIV (AOR = 2.97, 95% CI: 1.28 - 6.88). Furthermore, women who had an educational level of grade 7–12, and above were also found to be more knowledgeable on MTCT of HIV, (AOR = 2.52, 95% CI: 1.34 - 4.73) and (AOR = 3.68, 95% CI: 1.49 - 9.08) respectively. On the other hand, there was a statistically significant difference of knowledge on timing of MTCT among women’s occupation; merchants were less knowledgeable than housewives (AOR = 0.42, 95% CI: 0.21, 0.84). On the contrary, students (AOR = 2.44, 95% CI: 1.09 – 5.47), daily laborers (AOR = 3.05, 95% CI: 1.11 – 8.34), and government employees (AOR = 2.50, 95% CI: 1.23 – 5.07) were more knowledgeable than housewives. However; there was no statistically significant difference of knowledge on timing of MTCT with regards to women’s age, monthly income, gravidity, and gestational week (Table 4). †All variables were controlled for each other. *p-value < 0.05, **Statistically significant. Information received during ANC was also associated with women’s knowledge. Women who did not receive information on MTCT/PMTCT of HIV from ANC service providers during their last pregnancy presented were less knowledgeable on timing of MTCT of HIV (AOR = 0.44, 95% CI: 0.30, 0.64). Furthermore, discussions on ANC and HIV/AIDS with male partners were also found to have an effect on full knowledge on MTCT of HIV. Thus, respondents who did not have discussion on HIV with their male partner during their last pregnancy were less knowledgeable on timing of MTCT of HIV (AOR = 0.17, 95% CI: 0.07, 0.43) Women who declared very good support from their current male partners during antenatal care were less knowledgeable on timing of MTCT of HIV as compared to those who declared excellent support (AOR = 0.52, 95% CI: 0.35, 0.77) (Table 5). †Controlled for age, marital status, educational status, occupation, average monthly income, gravidity and gestational age. The findings from this study reveal that 100% and 62.9% of women were aware of HIV and possibility of MTCT of HIV from an infected mother to her child respectively. But, only 11.5% of women were fully knowledgeable on the timing of MTCT. Full knowledge on MTCT was associated with women’s educational status and occupation, information received from antenatal care service providers, and discussion with male partners on issues of antenatal care and HIV/AIDS. In Southern Ethiopia, awareness of ANC attending women on HIV/AIDS was universal, which is consistent with a finding from two similar studies of Nigeria and the Ethiopian Demographic and Health Survey report, 2012 [5, 13, 14]. Furthermore, the pregnant women’s awareness on MTCT of HIV was lower (62.9%) than similar studies conducted in Arbaminch town in South Ethiopia and Southwestern Uganda, where 80% of women declared that HIV could be transmitted from mother to her child [15, 16]. This disparity could be explained by the fact that urban population has more access to information and education than the rural one, which is the focus of this study. Similarly, other studies from Nigeria, Hong Kong, Gondar, Addis Ababa, Tanzania, and Uganda also showed better knowledge of pregnant women on MTCT than our study [13, 14, 16–21]. This clear difference could be due to the fact that most of these studies were conducted in hospitals and in urban centers, with probable higher access to education, information and knowledge on HIV and its forms of transmission. However, a cross sectional study conducted in a district hospital in Kenya showed a far less level of pregnant women’s awareness on MTCT of HIV, where only 8.9% of mothers knew the possibility of this kind of transmission . Besides, in this study, there was a big gap between awareness on HIV/AIDS and the fact that HIV could be transmitted from an infected mother to her child, which is also supported by a research finding from a teaching hospital in Nigeria . Beyond pregnant women’s awareness on MTCT of HIV, this study has also assessed pregnant women’s knowledge on timing of MTCT of HIV and its association with different variables. The possibility of HIV transmission through breastfeeding was known by 40.7% of women, which is less than the Ethiopian Demographic and Health Survey data where 77.1% of women in SNNPR knew that HIV could be transmitted through breastfeeding . This may be due to regional variation, which may occur within a country. In this study, only 11.5% of pregnant women were fully knowledgeable on timing of MTCT of HIV, which shows a considerable knowledge gap to be addressed. Maternal education, being a government employee, receiving information on MTCT during antenatal care, having discussions on antenatal care and HIV/AIDS with male partner showed significant association with maternal full knowledge on timing of MTCT of HIV. This finding is in agreement with previous studies in Ethiopia [18, 19]. In our study, only 41% of women received information on MTCT/PMTCT during antenatal care, which might have posed a major effect on knowledge on timing of MTCT. This is similar with a finding from South Africa, in which only 35% of HIV positive pregnant women were informed of the possibility of MTCT by their antenatal care counselor . In this study, women’s knowledge on timing of MTCT was positively associated with having a discussion on ANC and HIV/AIDS with their male partner. This is in line with other studies which reported that men involvement in ANC/PMTCT programs to be one of the key success factors which can improve the uptake and outcomes of PMTCT interventions [25, 26]. Besides, 6.8% and 2.8% of women claimed to have got no support at all and very poor support from their male partner during antenatal care. This might have happened due to male individual factor barriers, information/knowledge barriers, female individual factors, and relationship dynamics according to a systematic review carried out to identify contributors to low male involvement in ANC/PMTCT services . Though this study encompassed a representative study population from SNNPR, it cannot be generalized to all pregnant women in the region, as there is difference of knowledge among antenatal care attending women and their counterparts. This is a cross-sectional study and cannot show a cause effect association. Hence, we recommend readers consider a community based study to grasp a clear understanding of level of pregnant women’s knowledge on MTCT of HIV and its timing. Antenatal care attending pregnant women’s awareness on MTCT and their knowledge on its timing is still low in Southern Ethiopia. Taking this into account, strengthening the level of PMTCT services in antenatal care settings and devising mechanisms to promote involvement of men in PMTCT services need to be focused on to increase women’s knowledge on MTCT of HIV, in order to reduce its high level in Sub-Saharan Africa. AA conceived the research idea, involved in data collection, analyzed and interpreted the study findings, participated in report writing, and prepared the first draft of the manuscript. HB participated in data collection and report writing, and substantially revised the manuscript for intellectual content. Both authors read and approved the final manuscript.